Imagine the path to your dream teaching job as an obstacle course, filled with various steps and hurdles. Figuring out which types of Praxis exams you need to take and passing them are two parts of the obstacle course. Another part of the obstacle course is paying for it all. Standardized testing is not cheap. In order to properly prepare yourself financially, you’ll need to know about the Praxis test costs. The test cost for Praxis Core is pretty straightforward. It’s $90 for each individual exam, and $150 if you take the Math, Reading, and Writing exams all together in one sitting. With Praxis Subject Assessments, the fee structure is a little more complex. As a general rule, if a Praxis Subject Assessment that is 100% computer scored (all multiple choice and simple alphanumerical answers), then the fee will be $120. If a Subject Assessment exam contains constructed response questions (essays, lesson planning, etc…) then the fee is usually $146. In addition, there is a special tier for foreign language subject area tests; these foreign language teaching tests cost $160. However, there are a number of Subject Assessment exams that don’t follow the usual $120/$146/$160 structure for Praxis test cost. Certain combined exams consisting of multiple subtests in one exam session may cost more than $146. Combined Subject Assessment exams that consist of multiple short subtests cost more than $146. Prices for combined tests are always more than $146, but vary depending on test length and whether or not there are constructed responses. Subtests cost less than $100, but again vary in price depending on structure and length. 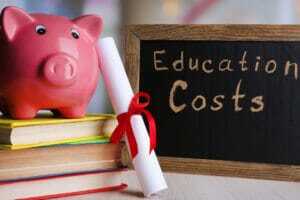 To give one example, the Elementary Education: Multiple Subjects exam costs $170, and its subtests (Reading and Language Arts, Mathematics, Social Studies, and Science) are $60 apiece. Finally, there is some additional variation in Subject Area test cost due to other factors. Sometimes individual states customize Praxis exams to suit their needs, and this can include custom pricing. The Reading for Virginia Educators exams hold the irregular price tag of $60, and Pennsylvania has a number of state-specific subtests that are priced differently from similar nationally available Praxis subtests. Additionally, Nevada levies a $5 surcharge for any paper-based, non-computerized Praxis exam administered in the state. For Core and Subject Assessment Praxis exams, there are additional fees for other test-related services too. Changing a test center or test date costs $40, registering for the exam costs $35, and sending additional scores beyond the first four free score reports costs $50 per report. Also, if you want to have your exam rescored, the fee is $65. ParaPro Series Praxis exams for classroom aides and School Leadership Series tests for education administrators have their own separate test fees as well. Thankfully, these test cost for these two types of tests are much simpler than the Subject Assessment fee schedule. The ParaPro has a $55 test fee, with $50 for additional score reports. The three school leadership exams are priced as follows: $425 for the School Leaders Licensure Assessment, $350 for the School Superintendent Assessment, and $80 for the state of Kentucky’s Specialty Test of Instructional and Administrative Practices. The cost for test center changes, phone registration, additional score reports, and re-scores are the same for Educational Leadership as they are for the Subject Area and Core Praxis series.